10-28lbs. I would ask that you reserve your turkey NOW because then we would be more likely to have the exact size that you're looking for for your Thanksgiving meal. If you have already ordered your Fresh Turkey, thank you! 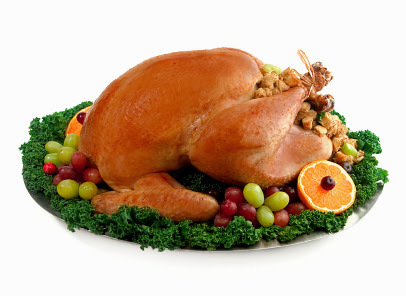 Organic Turkeys (8-17#), Roasting Chickens, Turkey Ducks (Muscovy Ducks), Turduckens (already stuffed), Ducks (5-6#), Capons (6-10#), Geese (12-14#) and Turkey Breasts (5-8lbs, 8-10lbs, 10-12lbs. & 18-20lbs).